Dress up your floors like never before with our ultra-vintage Distressed Vintage Blue Rug. The artistic inspiration of the distressed pattern finally brings you a true piece of art for your floor. This distressed blue rug is vintage-inspired with a modern flare and inspired by traditional design yet it resembles worn antiques, with a modern twist. Therefore the rug will complement a variety of decors, both traditional and modern. 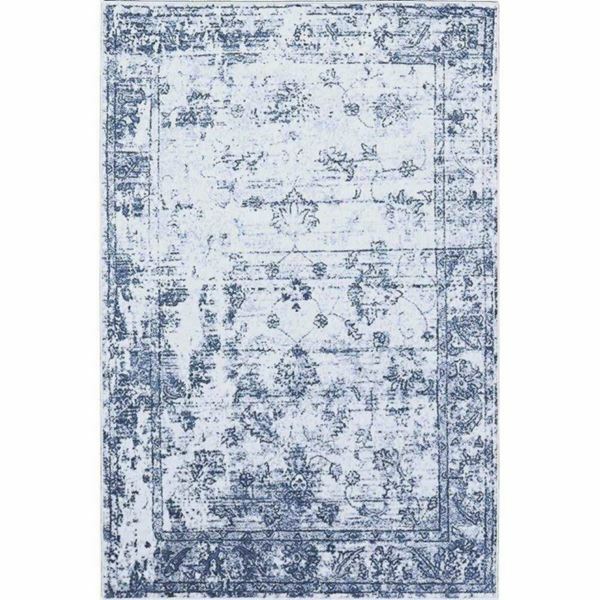 The Distressed Vintage Blue Rug is a high quality area rug made with a dense and soft pile for deep comforting feel as soon as you step on it. A dense pile also helps the longevity of the rug. Make it yours today and walk on it, lie on it, play on it and it will still keep its shape for many years to come. Power loomed in Turkey of worry-free synthetic yarn to prevent shedding, this rug not only is durable and easy care, but gives the appearance of being a fine rug made by hand.